In the history of animal mutilations, ten thousand over the past fifty years -- nobody [has] ever been caught or arrested. Every single one of them was eventually deemed unexplained. The UFOnut Team. Pictured L to R: Matt Morgan, Debbie Ziegelmeyer (Chuck’s sister) and Chuck Zukowski. Ouray, Colorado, where a psychic sensed a friendly Sasquatch encounter would occur, but instead it ended in terror. Most of the encounters with Bigfoot that you hear about seem benign, frightening to be sure, but more awkward and penumbral than violent. However, as we'll soon learn, that's not always the case. Our guest tonight is UFO and Paranormal Field Investigator Chuck Zukowski. For the past 30 years, Chuck has been researching and investigating a wide range of phenomena within the realm of the paranormal, everything from UFO evidence & abductions, to animal mutilations, ghosts, and of course, Bigfoot. Utilizing his background as a former Reserve Deputy Sheriff with the El Paso County, Colorado Sheriff’s Department, "Chuck approaches every investigation from a skeptical point of view looking for any known possibility before claiming otherwise. He also implements new and innovative field experiments from time to time to enhance his investigations looking for new evidence." Having appeared on numerous radio and television programs to discuss his findings, Chuck has cataloged an astounding variety of experiences. But apropos of the Spooky Season, you're going to hear about a few that are so terrifying you may never go back into the woods again. Purchase any of Seth's Small Town Monsters DVDs and merchandise at his website's store page: https://shop.smalltownmonsters.com/products. Also, some titles are available on Amazon Prime but trust us, you're gonna wanna own the DVDs for your collection! The Small Town Monsters channel on YouTube has tons of compelling and intriguing clips click HERE to subscribe now! eero – Life's too short for bad WiFi. Ever experience dead spots in your home, buffering or endless reboots? These are all symptoms of traditional routers and range extenders and you and your family probably just put up with it, making it tough to work, play, stream, or scroll in your own living space. But now there's the 2nd generation eero! eero is a brilliant new distributed home WiFi system that brings speed, elegance and most importantly robust coverage and greater security to every room in your home. Powered by clever Tri-band radio technology with proprietary TrueMesh™ software, eero is designed to work with your existing Internet Service Provider to unlock the full potential of your connection. And with the addition of a new Thread radio, eero can connect to low-power devices such as locks, doorbells, other sensors, and more. Unlike your old, slow, clunky router, eero pushes weekly over-the-air software updates to all its systems, making sure you not only get the latest features and performance improvements but also the latest cyber-security protections. It's also the easiest installation you can imagine so you'll be up and running and enjoying the wonders of the internet in minutes. Simply download the eero app on your iOS or Android device and it'll walk you through each step of the process, quickly and easily. And if you have any questions at all, eero has Best-In-Class tech support. Just call and get a WiFi expert within 30 seconds who can answer questions about your other connected devices or even what system is best for you. Start enjoying faster, stronger and a more secure internet experience TOMORROW, by going to eero.com and at checkout, select Overnight Shipping, then enter the Promo Code LEGENDS to get FREE OVERNIGHT SHIPPING to the U.S. or Canada! Get eero and you'll never have to think about WiFi again! SimpliSafe – SimpliSafe is the modern home security system that’s ready for anything that gets thrown at it. Your power goes out? SimpliSafe is still at the ready. If an intruder cuts your phone line, smashes your keypad or destroys the siren, SimpliSafe will still get you the help you need fast. Easy to install and easy to use, SimpliSafe provides you with professional security monitoring 24/7 for the fair price of just $14.99 per month. There are no contracts and no hidden fees. Go to SimpliSafe.com/AL today to give your home and family the protection and peace of mind they deserve. Episode 122: Mysterious Deaths Along the 37th Parallel. Produced by Scott Philbrook & Forrest Burgess; Audio Editing by Sarah Vorhees Wendel; Ryan McCullough and John Bolen Sound Design; Research Assistance by Tess Pfeifle and the astonishing League of Astonishing Researchers, a.k.a. The Astonishing Research Corps, or "A.R.C." for short. Copyright 2018 Astonishing Legends Productions, LLC. All Rights Reserved. – John Fredrickson, former Walworth County, Wisconsin Animal Control Officer, paraphrased from Seth Breedlove’s new film, The Bray Road Beast. Lee Hempel, whose farm property has continued to experience Bray Road Beast activity. Hempel has collected evidence and continues to investigate and document. 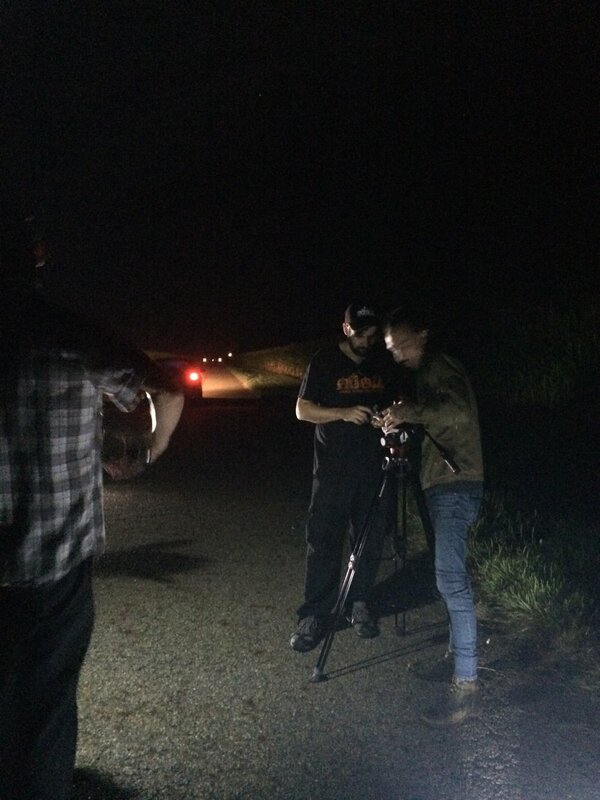 Ricky Sanchez, who was an eyewitness to the Bray Road Beast on his property and continues to investigate the creature. Many small towns across America and all over the world have experienced their own unique "monsters" and have claimed them as part of their identity. 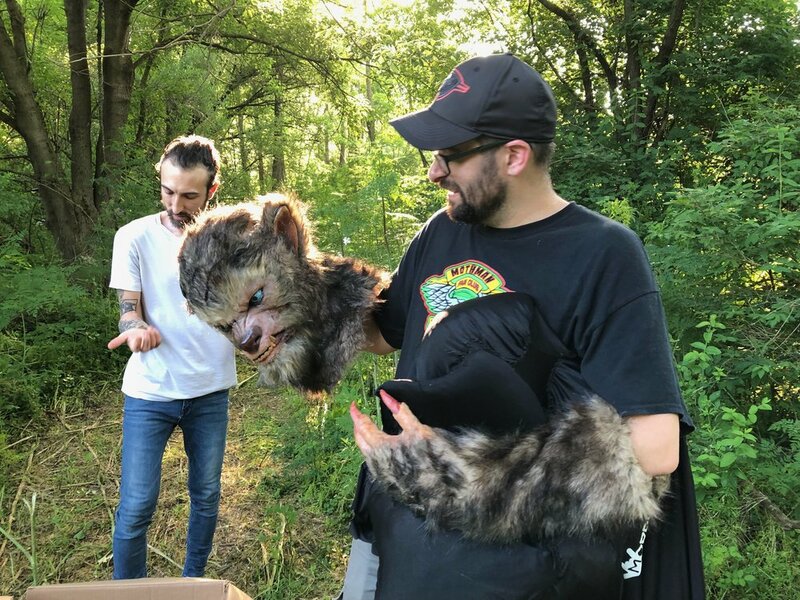 We met filmmaker Seth Breedlove at the Kent Stage for the 2018 Kent Paranormal Weekend symposium, where our first event was a screening of his film, The Mothman of Point Pleasant. Needless to say, we were very impressed by his documentary on the subject and then later by Seth himself. After a very pleasant chat in the lobby, we knew we had met a kindred spirit and had to get him on the show to discuss other works by his film production company, Small Town Monsters. 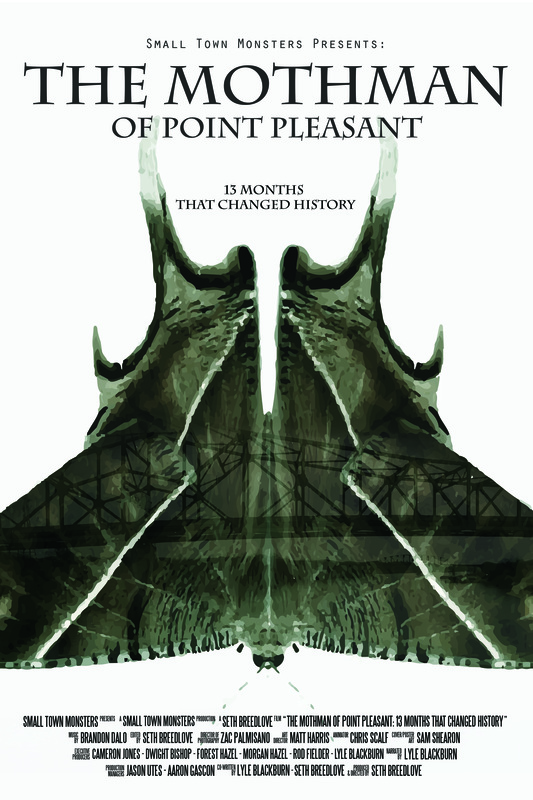 Tonight we discuss Seth's oeuvre of well-researched, fascinating and enjoyable documentaries, covering such topics as the Minerva Monster, the Beast of Whitehall, the Boggy Creek monster, Mothman of Point Pleasant, Invasion on Chestnut Ridge, the Flatwoods Monster, and his latest, The Bray Road Beast, as well as several upcoming projects. We'll find out what captivates him about each incident and the creatures at their centers, what it was like to actually explore these towns, and what he thinks might be happening with all this High Strangeness. Episode 116: Small Town Monsters. Produced by Scott Philbrook & Forrest Burgess; Audio Editing by Sarah Vorhees Wendel; Ryan McCullough Sound Design; Research Assistance by Tess Pfeifle and the astonishing League of Astonishing Researchers, a.k.a. The Astonishing Research Corps, or "A.R.C." for short. Copyright 2018 Astonishing Legends Productions, LLC. All Rights Reserved. – Professor Daniel C. Taylor, PhD., from his book, "Yeti: The Ecology of a Mystery"
Stunning photo of the Barun Valley in Nepal where Dr Taylor's research originated. This valley lies entirely within the Makalu Barun National Park. Photo Source Wikipedia user Dhilung. Landscape within the Barun Valley in Nepal where Dr Taylor's research originated, showing how this region's ecosystems vary. This valley lies entirely within the Makalu Barun National Park. Photo Source Wikipedia user Dhilung. Dr Daniel C Taylor (Dan'l), working with students and communities as part of the Future Generations University team, of which he is President. Photo: Future Generations University Website. Dr Taylor on a panel at the 2017 Himalayan Consensus Summit. Photo: Himalayan Consensus Summit Website. Dr Daniel C Taylor (Dan'l), working in a community as part of the Future Generations University team, of which he is President. Photo: Future Generations University Website. Locals in Nepal benefit from computers provided as part of the work done by Future Generations University. Photo: Future Generations University Website. Solar power cells provided as part of work done by students of Future Generations University. The photograph taken by Eric Shipton that introduced the legend of the Yeti to the western world in the mid-twentieth century. The photograph (original framing) taken by Eric Shipton that introduced the legend of the Yeti to the western world in the mid-twentieth century. An additional Shipton Footprint photo, where he uses his boot for a size comparison. This is what an adventurer looks like. Eric Shipton. Wider shots of the Shipton tracks, showing multiple animals, further reinforcing the idea of a mother and her cubs pursuing the crest of the ridge. Several Himalayan Yeti Sightings mapped out by our very own Astonishing Research Corps member Cody Rice. The foot of a juvenile Asiatic Black Bear. Note the thumb-like digit for tree-climbing. 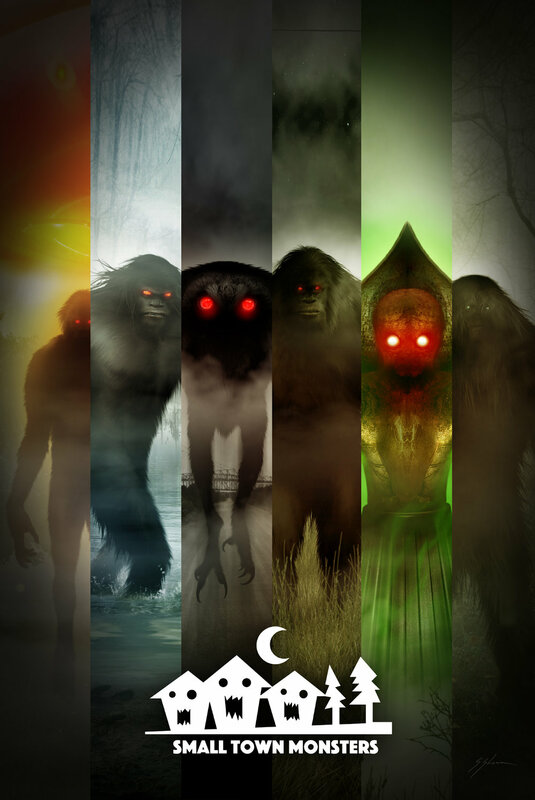 Like so many cryptid mysteries, what one realizes is that the deeper you search for the answer of what the creature might be, you find what it represents is so much more than just a singular beast. Such was the discovery of tonight's guest, Professor Daniel C. Taylor, PhD., author of Yeti: The Ecology of a Mystery. Dr. Taylor has spent 60 years of his life on a quest to solve the mystery of the Yeti, and that process has ultimately led to the foundation of a worldwide network and university dedicated to preserving not only the culture and ecology of the Himalayan region and beyond but it has also become a force for social change and preservation in other sensitive areas of the planet. But, if you just want to know if the Yeti is real or a legend, then consider the words of Dr. Taylor: "a legend doesn't leave footprints." The Yeti's prominence in the daily life of the peoples who inhabit the Himalayas makes it very real, and not just in a spiritual and cultural context. If you believe the Yeti exists, but just want to know what it is, you'll find that the question is lacking and that the answer indeed has more to do with the ecology of a mystery. Cryptozoologist Dale A. Drinnon and his article, "More on Yetis and Giant Orangutans"
Jimmy Stewart describes meeting "Harvey"
PDF: Genetic analysis of hair samples attributed to yeti, bigfoot and other anomalous primates by Bryan C. Sykes, et al. HOMINID AND HOMININ – WHAT’S THE DIFFERENCE? We want to tell you about our friend Jordan Bonaparte's show, The Night Time Podcast. Jordan has been a long-time listener of ours and started his own podcast soon after we did. We're pretty much cut from the same cloth, so if you like the subjects we cover, you're bound to love his fascinating array of topics. But being our neighbor to the northeast, The Night Time Podcast focuses on "Canadian True Crime, mysteries and the weird," and as Jordan has so aptly shown, Nova Scotia and "The Great White North" has no shortage of its own brand of spell-binding, bizarre stories, and events. 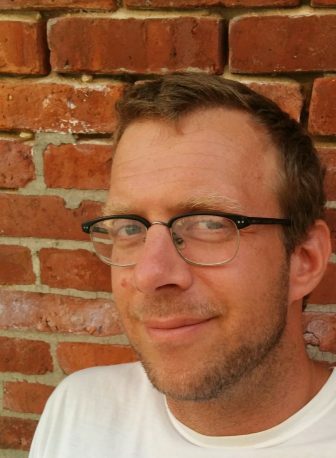 You can find out more about his show at https://www.nighttimepodcast.com/, and stream episodes at audioBoom, iTunes, Stitcher, GooglePlay or wherever you find quality podcasts. eHarmony – There's still time to find someone to share the holidays with! eHarmony has already helped over a million people find their special someone by using years of science, data and psychological research to find you the perfect match that leads to a lasting, meaningful relationship. Get a FREE MONTH with eHarmony when you sign up for a 3-month subscription, just by using the Promo Code LEGENDS at checkout! Episode 93: The Yeti Part 3. Produced by Scott Philbrook & Forrest Burgess; Audio Editing by Sarah Vorhees Wendel; Ryan McCullough Sound Design; Research Assistance by Tess Pfeifle and the astonishing League of Astonishing Researchers, a.k.a. The Astonishing Research Corps, or "A.R.C." for short. Copyright 2017 Astonishing Legends Productions, LLC. All Rights Reserved. “One does not meet oneself until one catches the reflection from an eye other than human.” – – Loren Eiseley, from his book, "The Unexpected Universe"
Shipton laid his boot next to the footprint for a size comparison. 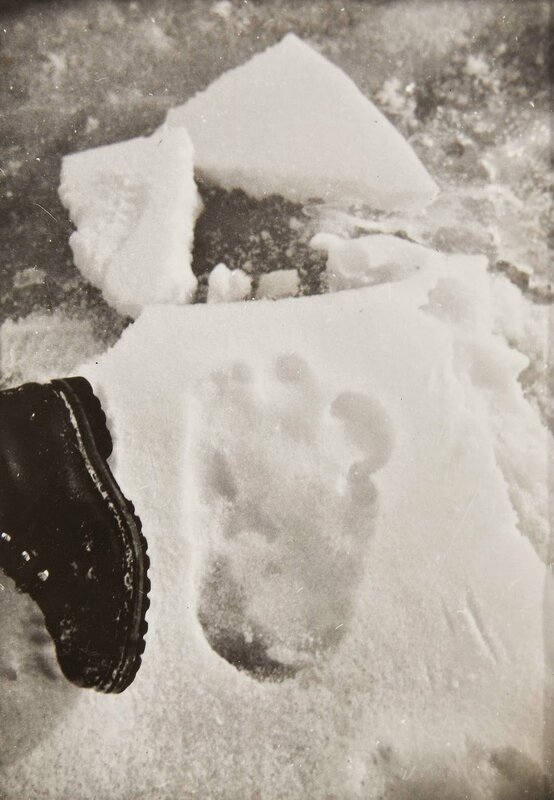 Noted mountaineer and explorer Eric Earle Shipton, who along with Dr. Michael Ward, was the first to photograph what was thought to be the footprint of a Yeti while on an expedition to Mt. Everest. This is what an adventurer looks like. Photo of Anthony Wooldridges's March 1986 sighting of what he thought was a Yeti holding still. Detail: A subsequent expedition reportedly claimed that what Anthony Wooldridge actually saw was a rock formation that only resembled a humanoid shape. On display at the Khumjung monastery in Nepal is a relic some believed was the scalp of a Yeti. However, it seems DNA testing has shown the scalp is actually the rump hide from a goat. LOCATION: The village of Pangboche, near a main Everest basecamp. You've heard the eye-witness accounts of encounters with the Yeti, but can you believe them? The DNA of supposed Yeti "evidence" has been tested, and it's hard to argue those results, but how do we know those bits were really from a Yeti as locals know it? And speaking of what the locals know, the western world likes to take one answer and apply it to many questions, while the eastern world knows that there can be several answers to a question. The locals also know what they saw when it comes to the question of the Yeti, and if they are right, and we combine that with the results from the scientific analysis, could there then be several correct answers as to what a "Yeti" really is? If you like some of spookier stories we cover, then you'll love HAUNTED PLACES from The Parcast Network. Haunted places almost ALWAYS have some super fascinating, frightening, mysterious and REAL backstory to them, and that’s what the Haunted Places podcast delivers! With each episode of Haunted Places, the host takes you on an audio tour of a new haunted location AND it’s haunted history. These creepy stories explain how these very real places became the final and forever resting grounds for restless spirits and scary paranormal activity. Check out episodes covering The Cecil Hotel, La Recoleta Cemetery and The Birdcage Theatre right now! New episodes come out every other Thursday, so subscribe to Haunted Places to hear about topics like the Island of Dolls and many more. Visit Apple Podcasts, TuneIn , GooglePlay, or where ever you listen to podcasts and search for Haunted Places. Or visit Parcast.com/haunted to start listening now. Harry's – This Holiday, Harry’s is offering custom and limited edition shaving sets that make great gifts. Their Gift Sets come ready to give in beautifully designed gift boxes and start at just $10. Go to harrys.com/legends and enter the Promo Code LEGENDS at checkout to get $5 off your order! MVMT Watches – Classic design and styled minimalism meets affordability. And now, MVMT is making gift giving even easier! Right now when you go to MVMT.COM/Legends you can buy ANY watch, starting at $95.00 and get a FREE strap, ALL placed in an elegant gift box – ready to give - AND shipping and returns are FREE! Episode 92: The Yeti Part 2. Produced by Scott Philbrook & Forrest Burgess; Audio Editing by Sarah Vorhees Wendel; Ryan McCullough Sound Design; Research Assistance by Tess Pfeifle and the astonishing League of Astonishing Researchers, a.k.a. The Astonishing Research Corps, or "A.R.C." for short. Copyright 2017 Astonishing Legends Productions, LLC. All Rights Reserved. – Dr. Daniel C. Taylor, from his book, "Yeti: The Ecology of a Mystery"
The original framing of Shipton's famous "Yeti footprint" photo. Another shot of the print, where Shipton uses his boot for a foot size comparison. 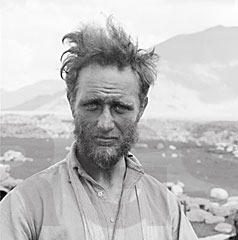 Eric Earle Shipton, looking every bit the adventurer and explorer. Wider shots of the Shipton tracks, showing multiple animals, further reinforcing the idea of a mother Asiatic bear and her cubs pursuing the crest of the ridge. 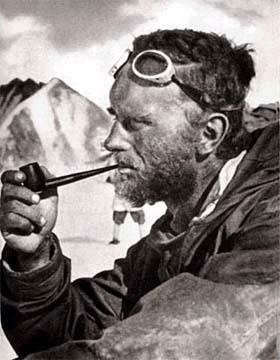 On November 8, 1951, noted mountaineer and adventurer Eric Shipton and Dr. Michael Ward were on an expedition to find an alternate route to ascend Mount Everest. At approximately 17,500 feet and exploring a glacier near an Everest basecamp they came across a set of massive footprints that shouldn't have been there. The only possible known creatures that they thought could have left such crisp footprints in the snow at that altitude were humans, bears or yaks, and they didn't look exactly like any of those to them, but more like a strange unknown barefooted hominoid. Their Sherpa guides, however, knew exactly what had left those footprints, the legendary Yeti, known to the indigenous peoples of the region for at least hundreds of years, and was both feared and revered. Shipton set the head of his ice ax next to the track, which measured about a foot long and 5" wide, and took a picture. This photo, coming from such a well-regarded explorer, would help to forever leave an imprint in the collective imagination of the western world. Casper Mattresses – Meticulously engineered for just the right amount of sink and the right amount of bounce, for the perfect night's sleep! Start sleeping ahead of the curve with Casper and be sure of your purchase with Casper's 100-Night Risk-Free, Sleep-on-it Trial, with Free Shipping and Free, No-Hassle returns for the US and Canada. NOTE: this offer is only applicable to a mattress purchase and terms and conditions apply. Get $50 toward any mattress purchase by visiting Casper.com/AL and use PROMO CODE "AL" at checkout. Episode 91: The Yeti Part 1. Produced by Scott Philbrook & Forrest Burgess; Audio Editing by Sarah Vorhees Wendel; Ryan McCullough Sound Design; Research Assistance by Tess Pfeifle and the astonishing League of Astonishing Researchers, a.k.a. The Astonishing Research Corps, or "A.R.C." for short. Copyright 2017 Astonishing Legends Productions, LLC. All Rights Reserved. From Wiki: English real estate entrepreneur, philosopher, early Quaker, and founder of the Province of Pennsylvania, the English North American colony and the future Commonwealth of Pennsylvania. Scottish missionary (1638/9 – 27 March 1716) who had a beef with the American colonial Quakers, which turned into the "Keithian Controversy." 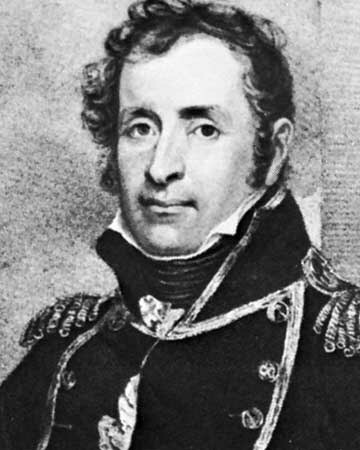 aka "Viscount Cornbury" or "Lord Cornbury" whose spendthrift ways and terrible leadership of the American colonies forced his unceremonious return to England. A purported portrait of Lord Cornbury, seen here in a less traditional but personally favored sartorial choice. From Mothman to the Jersey Devil, the Sandhill Crane is an often used explanation for any kind of flying cryptid sighting. Another often used explanation for strange sightings. The strange, comical and moose-like schnozz on this large bat is thought to resemble what people describe as having seen as features of the "Jersey Devil." That and the leathery wings. The author of The Domestic Life of the Jersey Devil: or, BeBop's Miscellany and Leeds family descendant. Location: Bucks County, Pennsylvania. The Jersey Devil's territory isn't just confined to the coastal region of New Jersey's Pine Barrens. Long before the "Leeds Devil" story became part of the local lore in the mid-18th century, the Native Americans of the Leni Lenape tribe had noted a strange creature in the area and named the nearby creek "Popuessing" meaning, "Place of the dragon." Also according to Loren Coleman and Bruce Hallenbeck in their book, Monsters of New Jersey: Mysterious Creatures in the Garden State, in 1677, Swedish explorers found strange footprints in the rocks near the same creek and renamed it "Drake Kill" – "drake" also meaning dragon. Southern New Jersey is steeped in the legend of The Jersey Devil, with the eponymous rascal inspiring everything from the names of businesses to stickers and T-shirts for tourists. 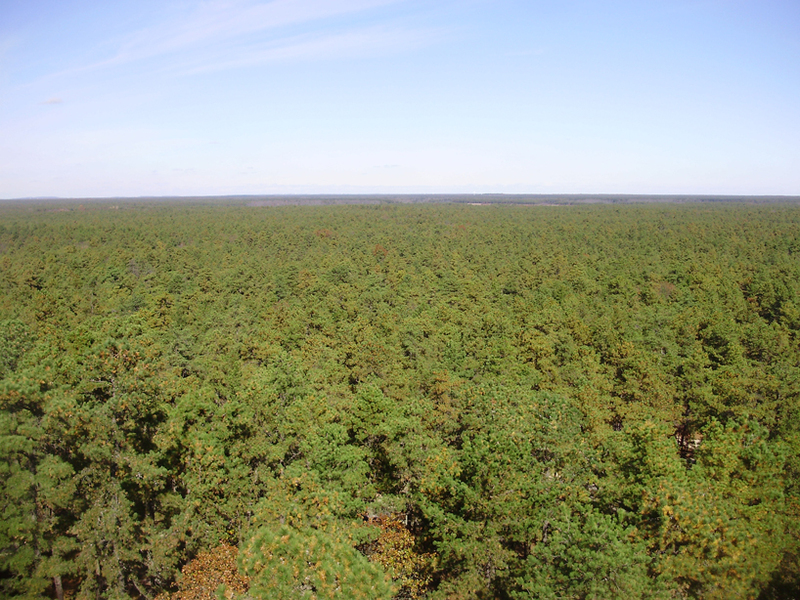 But as one "South Jersey" native has informed us, The Pine Barrens themselves may be nothing like what outsiders envision, with most of it being "lush, green and beautiful" and a joy to explore. Also, maybe almost no one from the area believes the myth themselves. However, it seems in the case of the legend of Jersey Devil – there are two distinct yet connected phenomenal elements at play: the ye olde myth, and the otherworldly thing that more than a few people swear they've encountered. So what do you say to them? Are you sure all they saw or heard was an owl, a stray African bat, a mutant goat havin' a laugh, or that good ol' well-worn chestnut the Sandhill Crane? Because now these accounts become much like any other testimony of the paranormal; those who have not experienced it probably won't believe it, but those that have can never forget it. By James F McCloy, Ray Miller Jr.
Blue Apron – It's time to start making something better for dinner! Go to blueapron.com/astonishing to get your first THREE MEALS FREE with FREE SHIPPING! Squarespace – Make YOUR NEXT MOVE and get your enterprise up on the web with Squarespace! Go to squarespace.com and use our OFFER CODE "LEGENDS" at checkout to get 10% OFF your first purchase of a website and domain name. 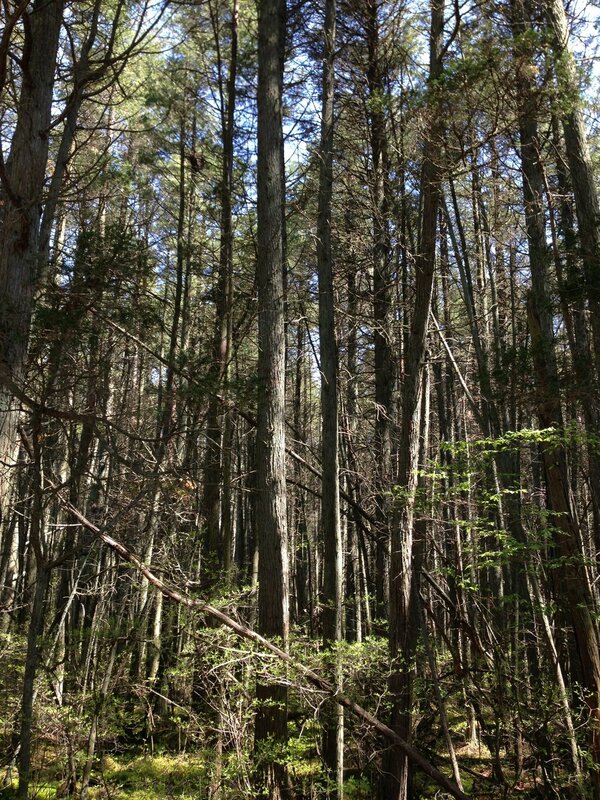 Episode 75: The Jersey Devil – Prince of the Pine Barrens (Part 2). Produced by Scott Philbrook & Forrest Burgess; Audio Editing by Sarah Vorhees; Ryan McCullough Sound Design; Research Assistance by Tess Pfeifle and the astonishing League of Astonishing Researchers, a.k.a. The Astonishing Research Corps, or "A.R.C." for short. Copyright 2017 Astonishing Legends Productions, LLC. All Rights Reserved. 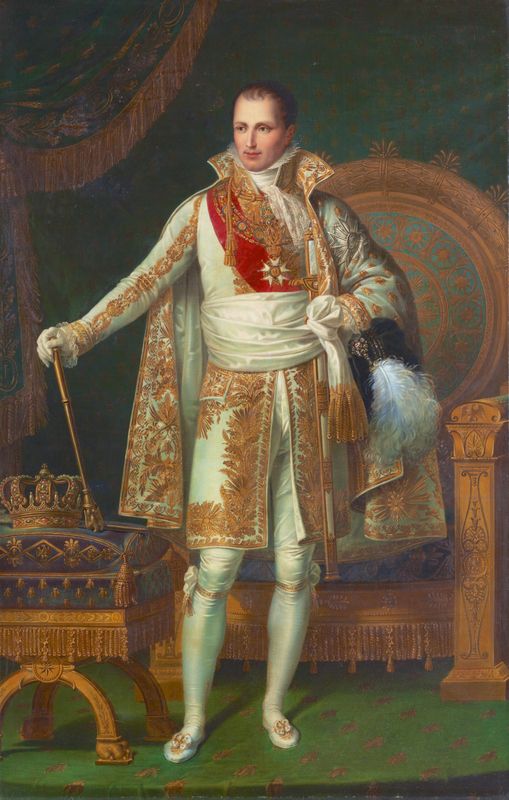 Older brother of Napoleon Bonaparte, who installed him as King of Naples and Sicily, and later King of Spain. Abdicated, retired to New Jersey (with Spain's crown jewels) to become a suburbanite dandy. 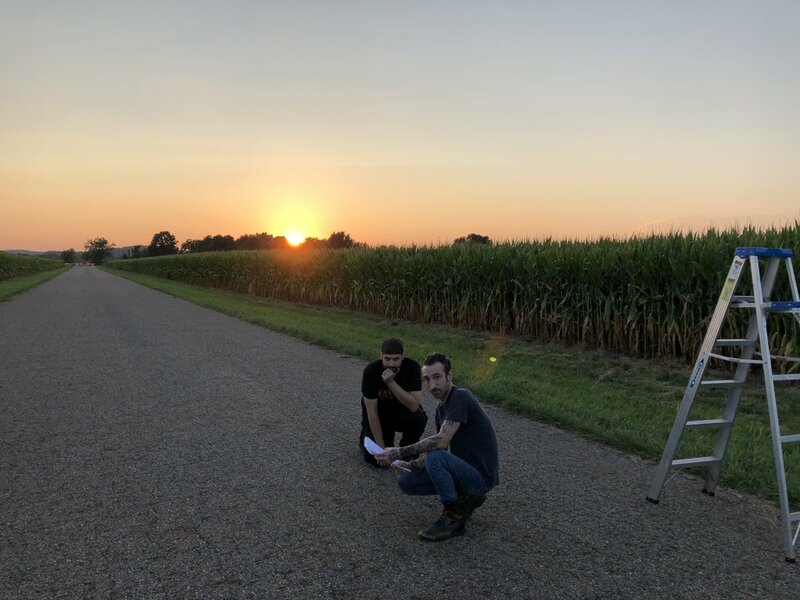 After an encounter with the Jersey Devil himself whilst out hunting, it is said that Joseph would forever be on the lookout for the Jersey Devil, in hopes he could bag it as a trophy. – Vance Larner, writing in his diary about his encounter with the Jersey Devil in 1790. Leeds Point, Galloway, New Jersey, United States. As the most popular version of the legend of the Jersey Devil goes, Deborah Leeds (nee Smith) emigrated from England to marry Daniel Leeds in the mid-Eighteenth century. When her 13th child was born, she cursed the difficult labor and the already impoverishing cicumstances of a brood of 12, and invoked the Devil. The infant became a ghastly cryptid and has haunted the New Jersey Pine Barrens ever since. Some legends have it as a "Mrs. Shrouds" as the beast's mother. They say if you meet someone from New Jersey, Pennsylvania or New York, you don't ask them if they've heard of the "Jersey Devil," you ask them if they've had some kind of encounter with it. 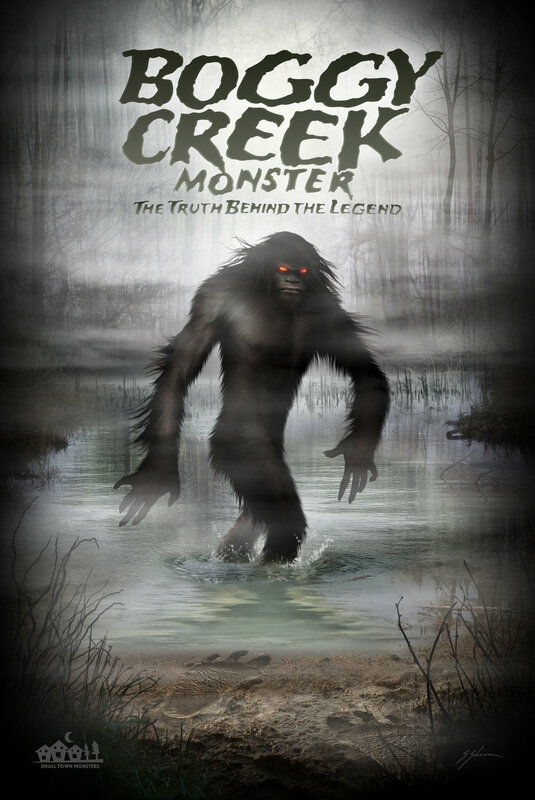 The legend of the curious cryptid is so prolific, they've no doubt heard of it, and if they've spent any time near the Pine Barrens of "The Garden State," more often than not you'll find they've experienced some evidence of the beast, or know someone who has. 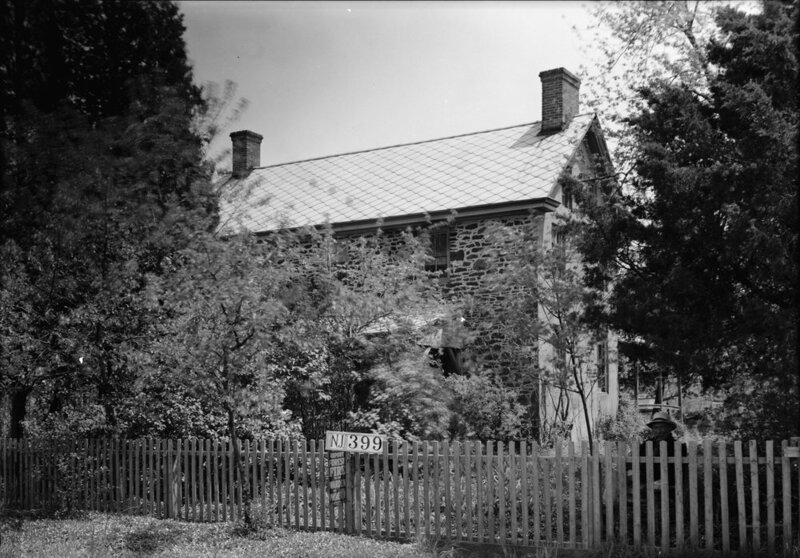 Folklorists say that there are more than 30 variations of the legend, but the main origin story of New Jersey's own "Official Demon" goes all the way back to 1735, and a Mrs. Leeds of Galloway, NJ, who upon a difficult delivery of her 13th child, exclaimed it might as well be a devil – which, if the tale is to be believed, you should never do. Since then, the story has been so popular that the idea of The Jersey Devil has made its way into movies, television, and video games, and is even the inspiration for the name of New Jersey's National Hockey League team. But why has this tale endured for at least 282 years? Is it because somehow the legend is just so fantastic that people can't forget it? 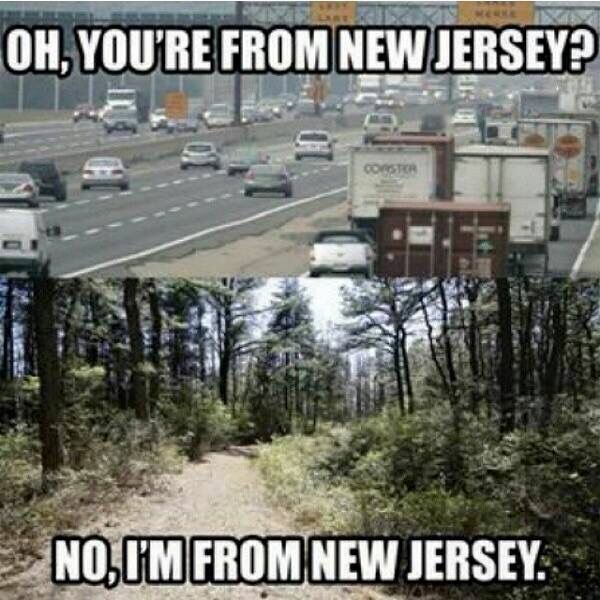 Or is it because, as so many residents throughout the years have claimed, from New Jersey's eastern shores, through the mysterious Pine Barrens all the way to western Pennsylvania, something really is out there? Harry's – Get Dad a Limited Edition Father's Day Shave Set and get $5 OFF! Go to Harrys.com/ALP and use code LEGENDS to get $5 OFF ANY shave set! MVMT Watches – Another great gift idea for Father's Day! Go to mvmt.com/legends to get 15% OFF your order, automatically applied at checkout! Episode 74: The Jersey Devil: Prince of the Pine Barrens (Part 1). Produced by Scott Philbrook & Forrest Burgess; Audio Editing by Sarah Vorhees; Ryan McCullough Sound Design; Research Assistance by Tess Pfeifle and the astonishing League of Astonishing Researchers, a.k.a. The Astonishing Research Corps, or "A.R.C." for short. Copyright 2017 Astonishing Legends Productions, LLC. All Rights Reserved.